Clearly he had smelled something that he didn’t like. I had had approached my stand that day from downwind–the opposite direction–so he couldn’t have smelled my ground scent. Then it hit me. He had crossed the path where I had approached the stand yesterday! He smelled my ground scent from 18 hour previous. 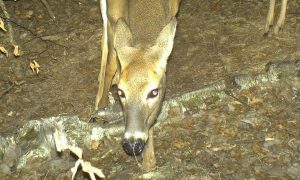 Deer also have a vomeronasal organ (Jacobson’s Organ) on the roof of their mouth that adds another dimension to their ability to smell. This organ actually allows them to smell particles in the air that comes through their mouth. Because this part of the brain is larger in animals that use their nose for survival, this creates an ability to interpret the smells that’s added to their ability to pick up all those smells with those 300-million receptors. This would suggest that using a cover scent of any kind would be futile, because a deer can simply sort the smells out. 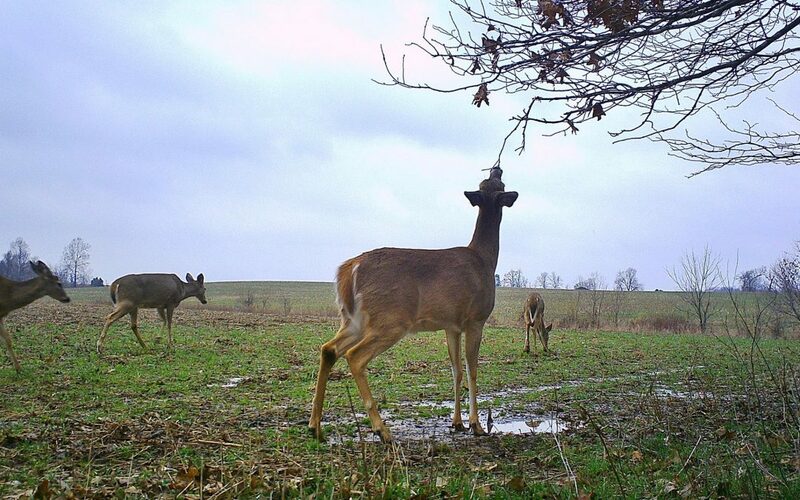 A hunter using deer urine to cover his scent smells like a hunter and deer urine to a deer, not just one or the other. While cover scents have little effectiveness, the ability to reduce human scent with antibacterial soaps, detergents and sprays, anti-microbial Scent Killer, and carbon is proven science. The science of the deer’s smell would suggest that reducing human odor is worth the trouble, attempting to cover it up is not. Great article and I believe what was said. 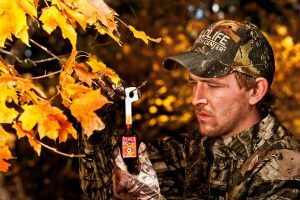 But this article contradicts a previous article that said you can urinate off the deer stand because deer cannot smell that. There is no article that claims deer cannot smell urine of any sort. 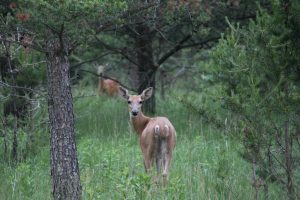 Deer are not alarmed by the smell of human urine and are in some cases attracted to it. Understand how scent drifts by using milkweed pod seeds dried. Thank you for writing what I have seen so many times while hunting. A person cannot cover human scent, only reduce it. The way a deer determines which way the scent is coming from is their whiskers. Because of the wind tugging on them they know exactly which direction the scent is coming from. We use plants that are the animals favorite foods to make our scent eliminator. That way it is a natural smell for the animals.The plants have a higher enzyme count than even the chemicals man makes. We have been nose to nose with deer and hogs on film without being busted many times.Chemicals do not belong on us or in the woods.